THIS is the gayest way to hold a pistol. I find this humorous in many ways. Especially the one where I used to be a skinny dork. 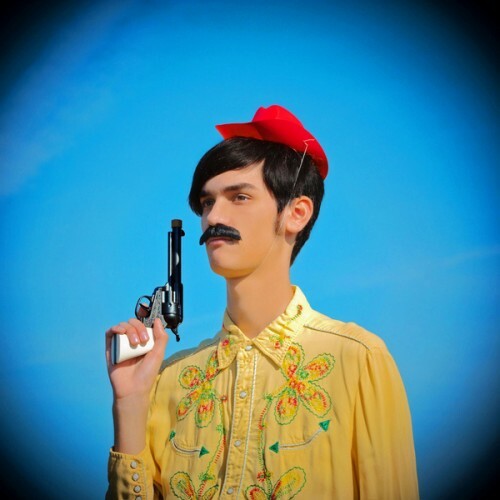 It’s not the hat (although that is weird), it’s not the way he’s holding the gun, it’s not the mustache. I think it’s the shirt that is really creepy. @Annarchy: no, it’s his height. I can’t tell, but you might be right. He could be a midget, which would really freak me out. That this is after the hot pic of Clint Eastwood makes me lol. O Tiki u so funny. @Phyreblade: Totally. I haven’t stopped fapping since he was posted.